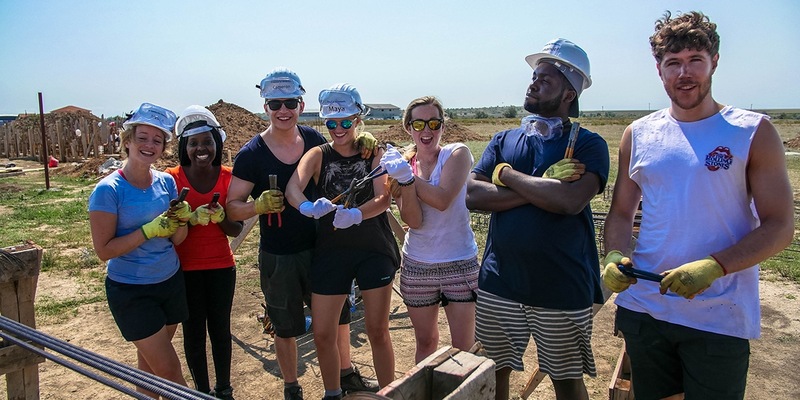 Addleshaw Goddard partnered with us for over a decade through our international volunteering programme, sending their trainees to Romania every August to build housing for families in need while braving hot weather. Addleshaw Goddard’s CSR initiatives are underpinned by exactly the same values that inform their day-to-day work: support, inclusivity and sustained relationship investment based on an understanding of each person and organisation’s specific needs. In August last year, a team of trainees had the opportunity to spend a week building houses in Romania. With Addleshaws help, we were able to build 1 Quadruple unit in Cumpana – which accommodates four low-income families. "Romania was brilliant actually, not just because I had the chance to meet all my fellow trainees who I’d be working with for the next two years in a different context, but also because I got to meet the partners and associates of the firm.I got the chance to ask them about the departments I was going to be working in, a chance to talk to them casually about where I wanted to go and what I thought my training contract would look like." "I felt the trip to Romania was a particularly rewarding experience. It was really great to be part of a scheme that the AG put on, and I really felt like I was contributing to something very worthwhile.It was really great to see this house come on in leaps and bounds in the space of a week, I felt like I was really making a difference."